Fort Wayne Community Schools recognizes the advantage quality early childhood education provides students. Children enrolled in quality programs at a young age are less likely to repeat grades or need special education services. And, according to research, they are more likely to graduate from high school and will ultimately earn higher salaries. FWCS provides a variety of options for children in the community to access quality educational programs in pre-kindergarten and kindergarten. If you have any questions about these programs, let us know through Let’s Talk! Ready to enroll? You will find everything you need on our enrollment page. Or, call us at 260.467.7250. It’s Time to Get Ready for the 2019-20 School Year! Fort Wayne Community Schools will have registration for Title I pre-K and all kindergarten programs in March. If you have a child turning 4 or 5 years old by Aug. 1, 2019, please plan to attend the appropriate registration at your child’s school (See below of a list of which elementary schools offer Title I pre-K). Pre-K registration will be held at 6 p.m. Tuesday, March 19, and kindergarten registration will be held at 6 p.m. Tuesday, March 26. Additional information will be posted soon. Bunche Montessori Early Childhood Center is a magnet school offering Montessori education for children ages 3 to 6 years old. As a Montessori school, the curriculum follows the methods developed by Maria Montessori, who believed children must cultivate their own natural desire to learn to become truly educated individuals who are motivated from within by a natural curiosity and love for knowledge. Classrooms are multi-age and look different than traditional classrooms. Materials are at the child’s level and offer a hands-on experience. Students are shown lessons and then work at their own pace. Three-year-old students attend in the morning only. Beginning in the 2018-19 school year, 4-year-old pre-K students will join kindergarten students in staying for the full day. Since 2003, Bunche has been accredited with the American Montessori Society, the first public Montessori school in the United States to receive such status. As a magnet school, enrollment is open to all families through the lottery process. Families interested in enrolling a child must submit an application. Children are selected through the lottery based on space available. Whitney Young Early Childhood Center is part of the District’s arts magnet program and serves 4- and 5-year-old students in full-day pre-K and kindergarten programs. The school embraces the Reggio Emilia philosophy, which provides a nurturing environment where all children are valued, respected and encouraged to construct knowledge through guided exploration and social interaction as they discover the joy of learning. A variety of fine arts experiences form a solid foundation for continued participation in the FWCS arts magnet program. The school is fully accredited by the National Association for the Education of Young Children and has earned the Level 4 Paths to Quality rating. Paths to Quality is Indiana’s statewide rating system for early care and education programs. As a magnet school, enrollment is open to all families through the lottery process. Families interested in enrolling a child must submit an application. Children are selected through the lottery based on space available. Fort Wayne Community Schools offers pre-kindergarten programs for children living within the boundaries of 19 FWCS elementary schools. This program is funded through federal Title I funds, which are provided to assist schools in serving students living in high-poverty areas. 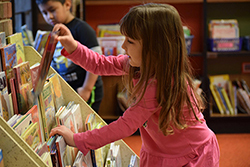 FWCS invests these funds in pre-K to ensure students, who could potentially be at risk for falling behind their peers, have the best opportunity to establish a strong academic foundation. Applications for Title I pre-K are accepted in the spring. Acceptance to the program is based on space available and ensuring we meet the needs of those students at highest risk, according to federal guidelines. 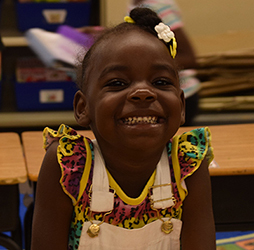 All Title I pre-K programs are fully accredited by the National Association for the Education of Young Children and have earned the Level 4 Paths to Quality rating. Paths to Quality is Indiana’s statewide rating system for early care and education programs. Beginning in 2019-20, the pre-K programs at Adams and Study elementary schools will be full day only. The programs at the other schools will remain half-day. Students living in Haley’s boundaries attend pre-K at Brentwood; Students living in Price’s boundaries attend pre-K at Washington. 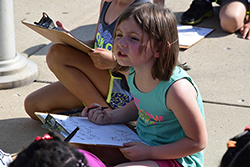 Fort Wayne Community Schools offers full-day kindergarten in all elementary schools for children who live in the District and turn 5 years old by Aug. 1 (Indiana Code 20-33-2-7). We offer a high quality kindergarten program that encourages students to learn and grow with age-appropriate curriculum focused on literacy and other skills needed to be a successful learner in the years to come. Students may attend their neighborhood school or apply for enrollment into another school within the District. Information about all schools can be found in the School Catalog . Parents can apply for early entrance into kindergarten by submitting an application. Application forms are available at the Student and Family Support Services Department, 230 E. Douglas Ave. Please call Student and Family Support Services at 260.467.7250 to inquire about application deadlines. Nutrition Services: If your household has a current food stamp case number, the enrolled student may be automatically eligible for benefits. A Meal/Textbook Benefit Application must be submitted to Nutrition Services or the school office prior to the beginning of the school year to ensure processing and determination of eligibility before the first day of school. Call Nutrition Services at 260.467.2055 for additional information or assistance. Fort Wayne Community Schools provides special education services to qualifying children ages 3 to 5. Services outlined in a child’s Individual Education Plan (IEP) are based on the individual needs of the student. Depending on a child’s need, he/she may work with an early childhood general education teacher, early childhood special education teacher, teaching assistant, speech pathologist, occupational therapist, mental health therapist and/or physical therapist. Call our Special Education Office at 260.467.1110 for information on testing to determine eligibility. Child must be 4 but not yet 5 years old by Aug. 1, 2019. In Allen County, families must earn less than 185 percent of federal poverty level. Additional information is available by clicking here.